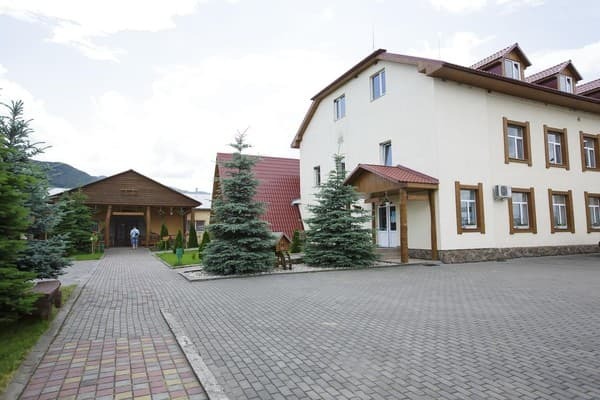 The health-improving complex "Trembita" is located in the tract of Dumintsi, 6 km from the city Hust. 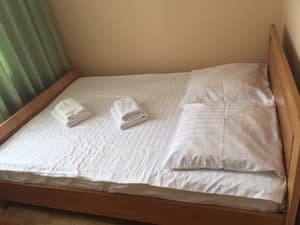 On the territory of the complex there are 3 buildings with cozy modern rooms of categories Economy, Standard, Junior Suite and Suite. Each room has satellite TV and Wi-Fi. 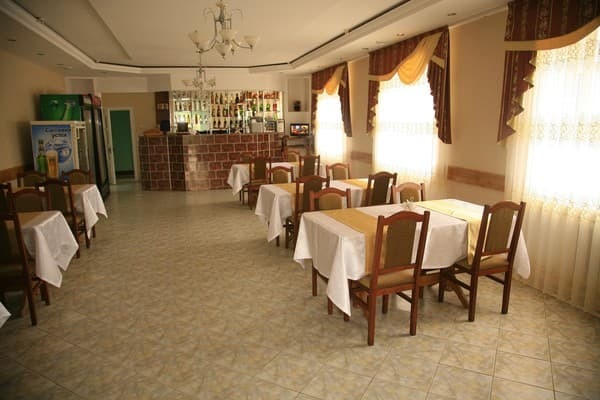 There is a restaurant in the Trembita complex, where you can order home-cooked meals throughout the day. 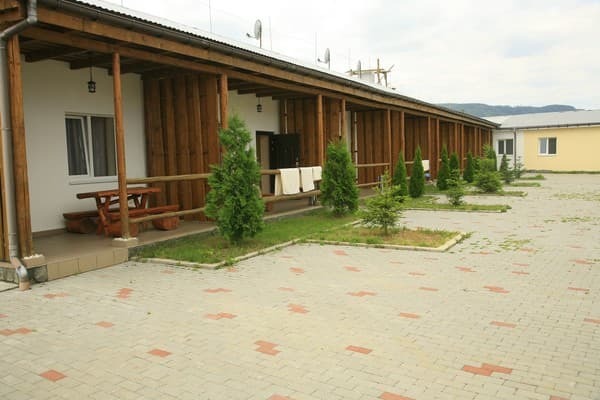 At the service of guests - a sauna, an outdoor pool, a pond in which you can fish, a sports hall, a hall with a pool table and a table for small tennis, a conference hall for 250 seats. Also in the health complex there is an opportunity to take a course on the treatment of pulmonary and gastrointestinal diseases with the help of such procedures as a salt room, mineral baths, ozocerite, massage, medicinal waters from the pump room. For those who wish there is rafting on the river Tisa. It is possible to organize excursions to Lake Sinevir, to the Valley of Narcissus, to Mukachevo Castle, to the village of Iza (wickerwork from warbler, deer farm). Описание номера: Comfortable room with two living rooms and modern furnishings. Children under 6 years old stay free of charge (without providing a separate extra bed), for children from 6 to 14. 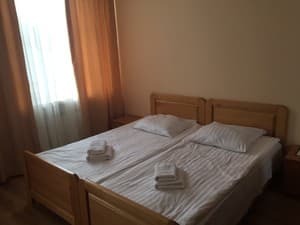 Extra bed is 30 UAH / day, for children from the age of 14. the additional place is 50 UAH / day. You can order set meals - from 270 UAH / person. 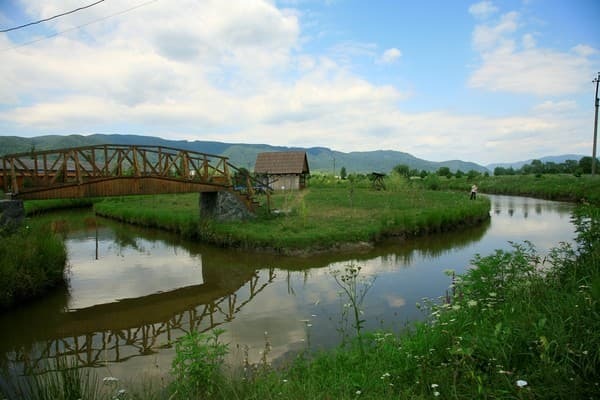 Located in the Transcarpathian region in with. Velyatino, the tract of Dumintsi, 6 km from the town of Khust. 5 km from Shayan. Treatment is paid separately, according to the price list.